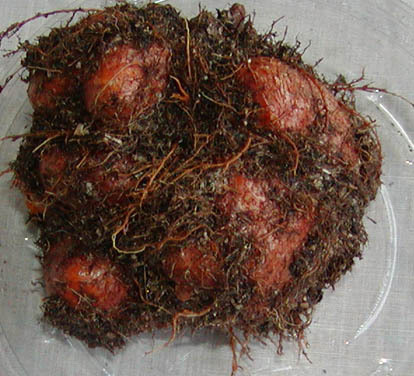 This view of the underside of the tuber of Sinningia reitzii shows the multiple lobes. S. reitzii (though not this particular plant) was one of the parents of Sinningia 'Peninsula Belle'. The hybrid also has multi-lobed tubers, while Sinningia lineata does not.